ROBERT KOPPEL is President of the Innergame Division of Rand Financial Services. He is the coauthor with Howard Abell of The Inner Game of Trading (Irwin, 1993) and The Outer Game of Trading (Irwin, 1994). He holds advanced degrees in Philosophy and Group Behavior from Columbia University. Bob was a long term member of the Chicago Mercantile Exchange. THE MANY FACES OF INTUITION. 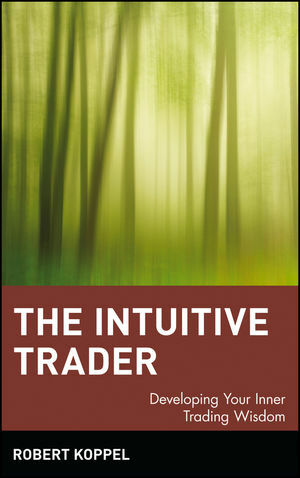 USING INTUITION TO ENHANCE YOUR TRADING PERFORMANCE. Creating an Expectation for Trading Success.